Six top pharmaceutical executives and managers, formerly employed by Insys Therapeutics, Inc., were arrested Thursday on charges that they led a nationwide conspiracy to bribe medical practitioners, including a nurse at a pain clinic in Derby. In a sweeping indictment filed in U.S. District Court in Massachusetts, federal prosecutors charged the former CEO and president of the Arizona-based company, Michael Babich, two former vice presidents, and three other managers with paying kickbacks to practitioners in several states, many of whom operated pain clinics, in order to get them to prescribe a fentanyl-based pain medication. The medication, Subsys, is a powerful narcotic intended to treat cancer patients suffering intense episodes of breakthrough pain. In exchange for kickbacks, the practitioners wrote large numbers of prescriptions for the patients, most of whom were not diagnosed with cancer, the indictment says. Prosecutors also allege that the former executives conspired to mislead and defraud health insurance providers, who were reluctant to approve payment for the drug when it was prescribed for non-cancer patients. 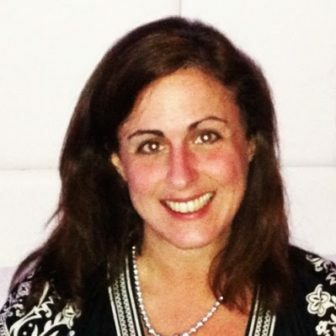 One of the 10 practitioners referenced in the indictment is Heather Alfonso, formerly an advanced practice registered nurse (APRN) at the Comprehensive Pain and Headache Treatment Center in Derby, who has pleaded guilty to accepting kickbacks from Insys, through a sham “speakers’ program,” in exchange for prescribing Subsys. She is cooperating with investigators as she awaits sentencing. 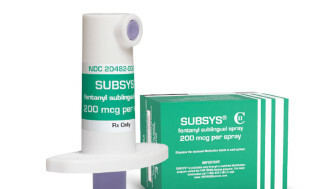 In June 2013, the Insys sales manager for Connecticut “expressed frustration” that Alfonso was writing an average of only 0.9 Subsys prescriptions a week and had not “motivated any new prescriber as of yet” to prescribe Subsys. But by September, the indictment says, Alfonso was averaging three prescriptions a week. Between December 2012 and April 2015, insurers and pharmacy benefit managers authorized payment for approximately 556 Subsys prescriptions written by Alfonso, according to the indictment. At the same time, Insys paid her about $80,000 in kickbacks for participating in “sham” speakers’ programs, many of which were “mere social gatherings” attended by friends and clinic office staff. A previous C-HIT story reported that Alfonso and three other former nurses at the clinic were responsible for nearly all of the state’s Medicare spending on Subsys prescriptions in 2014. None of the other nurses has been charged, and the clinic, located in Griffin Hospital, and a Meriden affiliate remain in operation. Babich is charged with conspiracy to commit racketeering, conspiracy to commit wire and mail fraud and conspiracy to violate the Anti-Kickback Law. Along with Burlakoff, of North Carolina, Richard Simon of California, former national director of sales, and former regional sales directors Sunrise Lee of Michigan and Joseph Rowan of Florida are charged with RICO conspiracy, mail fraud conspiracy and conspiracy to violate the Anti-Kickback Law. Michael Gurry of Arizona, former vice president of managed markets, is charged with RICO conspiracy and wire fraud conspiracy. Messages left at Insys offices Thursday were not returned. On the charges of conspiracy to commit RICO and conspiracy to commit mail and wire fraud, statutes provide a sentence of no greater than 20 years in prison, three years of supervised release, and a fine of $250,000, or twice the amount of pecuniary gain or loss. On the counts of conspiracy to violate the Anti-Kickback Law, the charging statute provides a sentence of up to five years in prison, three years of supervised release and a $25,000 fine. Actual sentences for federal crimes are typically less than the maximum penalties. The investigation was conducted by a team that included the FBI and the Drug Enforcement Administration, with assistance from U.S Attorneys offices in Connecticut, Michigan, New York and Alabama.